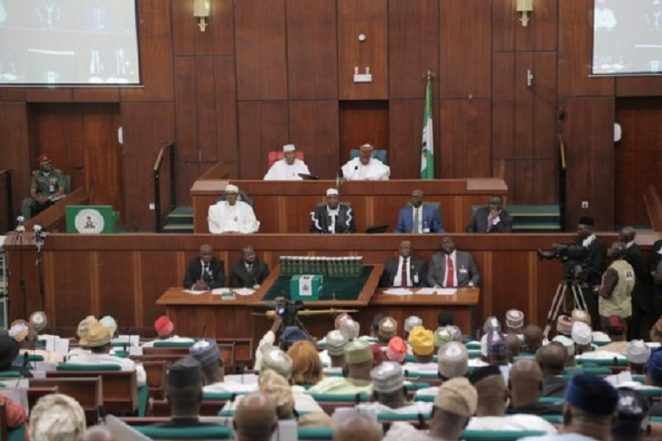 The Rivers State chapter of the All Progressives Congress (APC) has described as unwise and unnecessary the recent plot by some members of the National Assembly to heighten tension in the country by tabling an impeachment threat on President Muhammadu Buhari who is doing his best to rescue the nation from the dungeon that PDP past Government kept her. “The impeachment plot based on President Buahri’s approval for the withdrawal of $496 million from the Excess Crude Account for the purchase of 12 Super Tucano aircraft ordered from the United States aimed at rescuing the country from its present security crisis is to us an exercise in futility” the APC said in a statement circulated to journalists today by Chief Eze Chukwuemeka Eze, the Media Consultant to Dr Davies Ibiamu Ikanya, the State Chairman of Rivers APC. The statement reads: “President Trump affirming this transaction stated, “We recently sold Nigeria 12 Super Tucano aircraft in the first-ever sale of American military equipment to Nigeria. Nigeria is a valued partner and a good friend”. The National Assembly considering what President Trump said about our leader and nation should be celebrating this icon of integrity and the new face of democracy in our nation than this unwarranted demonstration of shame and embarrassment. “The party blasts Governor Nyesom Wike of Rivers State who seizes any opportunity to demonstrate his disdain for both President Buhari and the APC led Government once again using this historical purchase of war Aircraft to mobilise his attack dogs in the National Assembly through his lackeys – Kingsley Chinda (House of Representatives, PDP Rivers, Obio/Akpor Constituency) and Mathew Urhoghide (Senate, PDP Edo South) to initiate this unwise impeachment process against President Buhari knowing very well that the constitution of the Federal Republic of Nigeria have no impeachment clause in any of its section but a plot of distraction to blackmail this administration and disrupt her efforts to expose and deal with those who have looted our common patrimony with impunity. The party further pleads with Governor Nyesom Ezebunwo Wike of Rivers State to leave President Muhammadu Buhari alone so that he can concentrate on how to find solutions to how Wike and his colleagues looted and milked our common patrimony dry particularly now that he (Wike) has lost direction on how to govern a complex State like Rivers State. The party relies on Section 143 (2) (b) of the 1999 Constitution and further in Section 143 (11) as (a) to state that President Buhari has neither committed any grave violation or breach of this Constitution”, or “a misconduct of such nature as amounts in the opinion of the National Assembly to gross misconduct to warrant his impeachment or removal from office if not to play into the hands of those hell-bent of frustrating the corruption fight of this administration. The party therefore admonishes the leadership and members of the National Assembly to consider the general peace, welfare of our nation and put aside this impeachment plot as we need to unite to save our nation from those who wants to plunge this nation into unwarranted crisis in order to safeguard their loots.